This immersive, 360 degree, virtual reality experience - the brainchild of emotive and Novo Nordisk - took users on an educational journey inside the body of a patient. 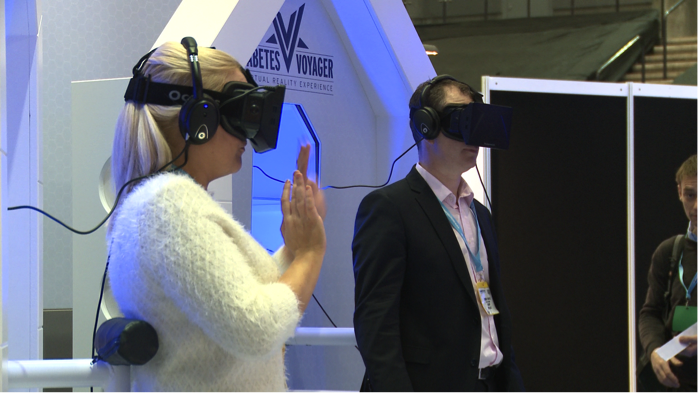 300 delegates streamed onto the Novo Nordisk stand to experience the Voyager during the three-day conference, totalling 35 hours of captivating virtual reality existence and a lot of excited queuing. This technology, realised through a novel combination of the Oculus Rift 360 degree headset and the Xbox Kinect, allowed the user to travel inside the body of a diabetic patient, where they visited the heart, brain and vascular system, and faced key challenges related to diabetes management. Not limited to merely viewing this unique perspective, the use of the Kinect motion sensor allowed the user to interact with their environment through the natural movement of their body, learning about the management of diabetes in a truly ground breaking way. 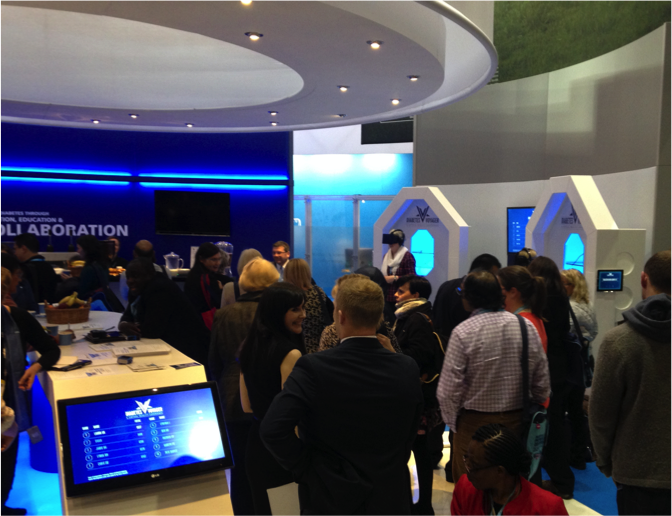 The technology stood out for both Novo Nordisk and the conference delegates, “It was great to see so many customers completely blown away by what you have created and to be seen as such innovators from embracing and utilising this technology,” said Adam Boucher, Medical Education and Events Manager. While the Voyager focused on the field of diabetes, the technology employed has truly exciting potential across a wide range of therapy areas and communication challenges. One of the many opportunities discussed at the recent conference was the potential of this technology to engage with younger, apathetic patients in order to communicate the importance of medication adherence. Far from being a one time event, the Diabetes Voyager has been designed and packaged to be easily transported, so if you missed it this time do not fear – the Voyager will be back!